I joined Mama Buzz, a new review group, and received these cute finger puppets for my five year old. 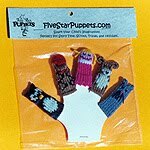 Five Star Finger Puppets are manufactured in the United States and made by hand of soft, durable, hand-washable yarn. They are child safe with no removable parts and come in packages of five that include owl, snake, child, dog and cat characters. Retail price is $12.95, and they are available online at www.FiveStarPublication.com, at the Jerome Gallery's Five Star Book Nook at 240 Hull St. in Jerome, Ariz., and will soon be available in other bookstores and gift shops around the country. My daughter enjoyed playing with these and I found them well made. The characters are specific enough to give her a starting place for her imaginary play without having the whole character laid out for her (unlike say a commercial cartoon figure). The only real problem I saw is kind of unavoidable with finger puppets--they are small and easily lost or eaten by the vacuum cleaner. 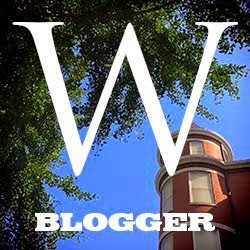 I'd like to thank Linda at Five Star Publications for the opportunity to review this product. You can view the finger puppets at their website. Stop by the Mama Buzz site and check Mr. Linky for more reviews of these finger puppets.